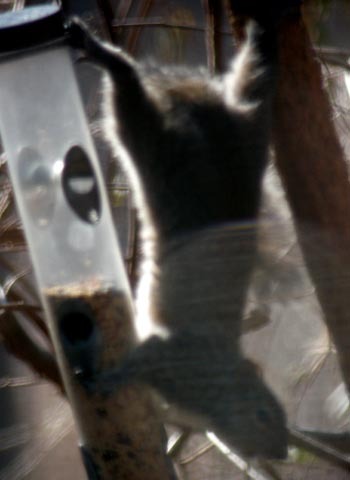 You gotta love ‘em; those non-feathered critturs who want feeder privileges and are willing to make that extra leap, stretch, or sneaky tactic to get their share of seeds. 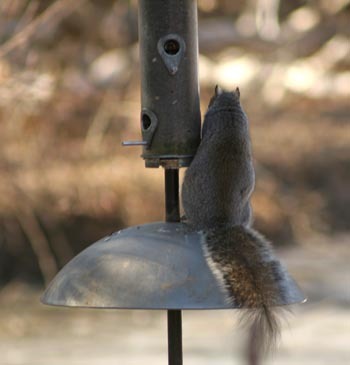 The feeder station at Peace Valley has its share of feeder bandits and they are as entertaining to watch as the birds. 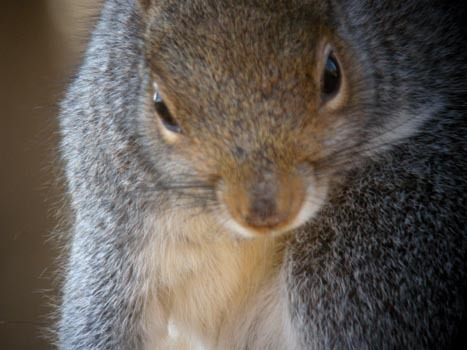 Take the squirrel below, for instance. This one had a daredevil strategy. All he needed was a nearby tree with a branch extending in the right direction. 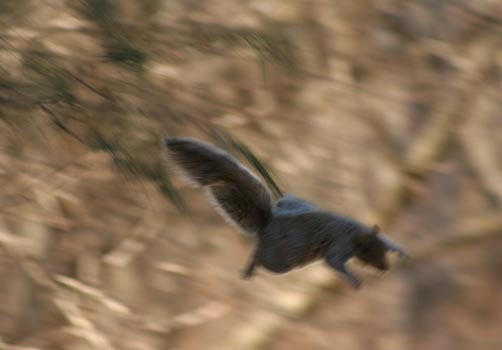 Nuts and seeds, here I come. A good running start down the branch is essential. That’s right. No guts, no nuts. …and simply slurf out as many seeds as will stick to your tongue. 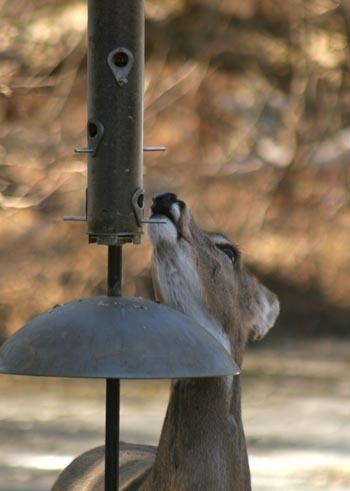 Note: All photos taken with digiscope equipment, except the photos of the squirrel in flight and on the target feeder, and the deer standing next to a feeder. 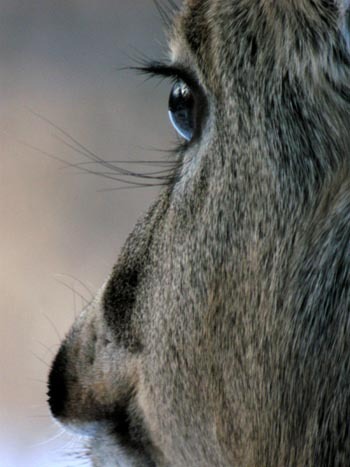 The image of the deer’s tongue close up and side profile were both digiscoped. See, you can digiscope other things besides birds and insects.